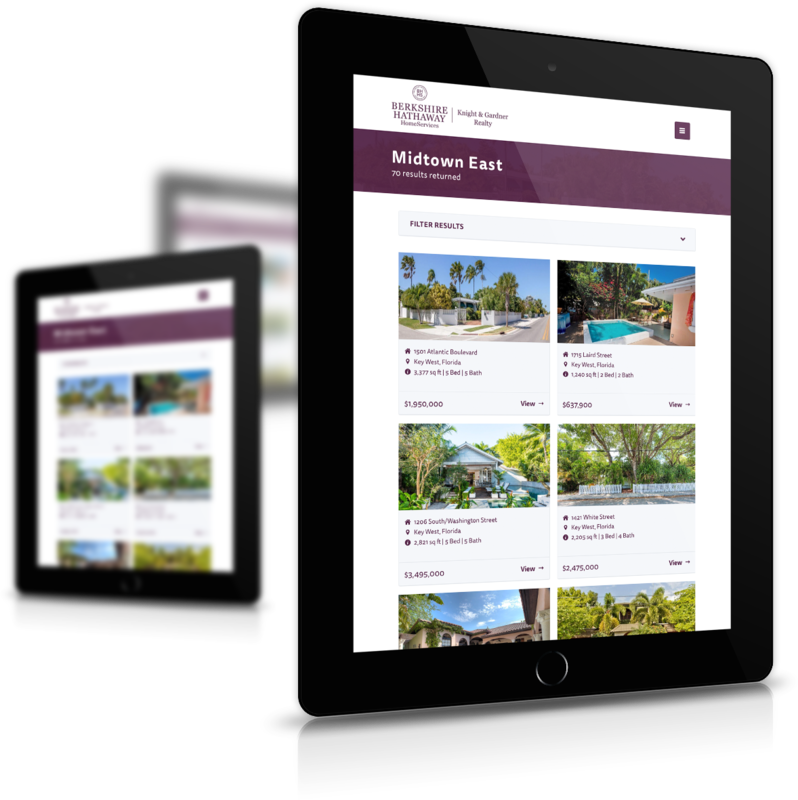 We helped Berkshire Hathaway FL Keys develop a beautiful, modern website that works perfectly on all devices. The custom IDX search hooks into the MLS for real-time listings, and the design is set up for lead generation. The result was a huge increase in online traffic, engagement and qualified sales leads. Today the website ranks in the top 10 for most area real estate searches, in some cases outranking Zillow, Trulia, and Realtor.com. Website visitors not converting into leads. 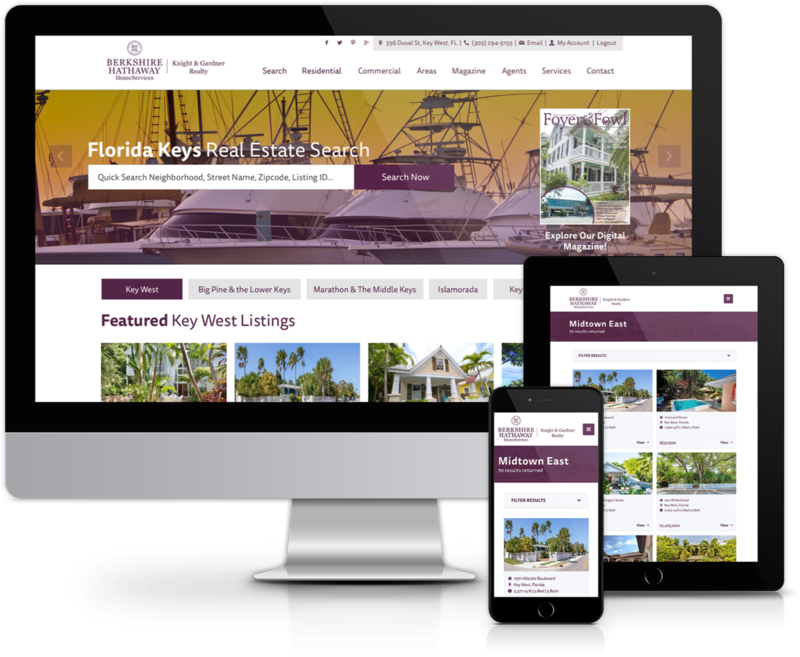 As the most established real estate firm in the Florida Keys, BHHS needed to convert more of their online traffic into leads. Custom web design with IDX integration. Based on our experience in real estate marketing, we advised migrating the firm onto the IDX Broker platform. We incorporated lead generation into every single page of the website, linking it directly to the firms CRM. In addition, we redesigned the website and incorporated a blog and dynamic magazine feature for customer engagement. In addition, Local SEO including exhaustive NAP audits and cleanups, Search Engine Optimization for multiple keywords and Pay Per Click (PPC) account setup and management was undertaken. More qualified leads generated by more engaged customers.